The formation of social capital is critical for developing countries. 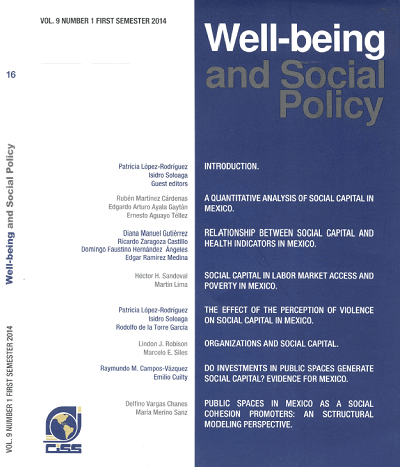 This paper investigates the effects of attempts to recover public spaces in marginalized areas of Mexico. The effects are estimated through balancing in the propensity scores. We focus on the results of perception of safety, support and social capital. When efforts are made to recover public spaces, the perception of safety increases during the first year; however, this effect decreases during the second year. Attendance at public spaces increases in the first year, but remain constant in the second. Social capital increases two years after a given space has been rehabilitated. Our research suggests that the formation of social capital requires more time than that needed to change perceptions of safety or assistance.